RBC’s Brian Malcolm and Dylan Law journeyed to Pinewood Atlanta Studios for the first Cine Gear Expo in Atlanta. For gearheads like us who have checked-in at Cine Gear’s annual expo on the West Coast, this was a bit closer to home. 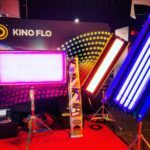 What do we love about both Cine Gear Expo events? 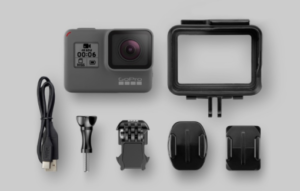 You get access to a lot of manufacturers along with inside knowledge behind the latest camera and lighting equipment and accessories for film, video, and digital media makers. You also have lots of conversations with the makers — DP’s and AC’s who are or will be using the gear. This combination, along with hands-on access and demos, goes a long way in determining what makes sense for our rental customers, and, eventually, what we will add to our rental inventory. 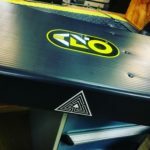 Below is a quick look at the gear and technology that made an impression. Click here to follow Rule Boston Camera on Instagram and check out Dylan’s Instagram takeover for #2018CineGearExpoATL. 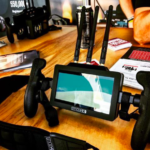 • The continuing synergism between the two VITEC companies, SmallHD and Teradek, who are hard at work developing new wireless monitor products. • The VITEC group via Teradek is also integrating RT Motion wireless focus into the line-up with a promising new wireless focus system. 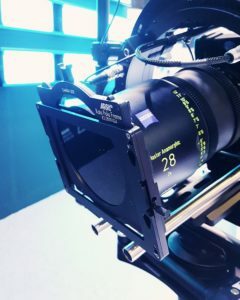 • Lindsey Optics has an awesome line of tray mounted close up filters which will become a “must have” for any rental house. 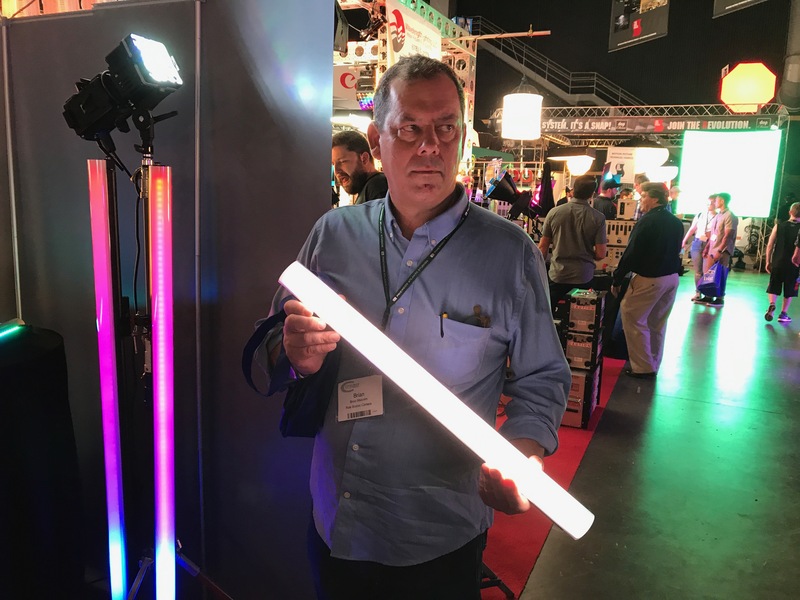 • LED tubes continue to crowd out all other lighting at trade shows. 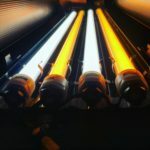 Quasar continues to dominate the offerings with price and quality, while the new Freestyle tubes from Kino Flo introduce a ballast-based RGB alternative. And, finally, Digital Sputnik seems about to release their very versatile RGB tube. 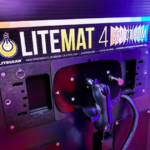 • LiteGear is stepping up to the RGB world with their versatile new LiteMat Spectrum series. • Canon had their new mirrorless R camera, featuring a new line up of high quality RF lenses. 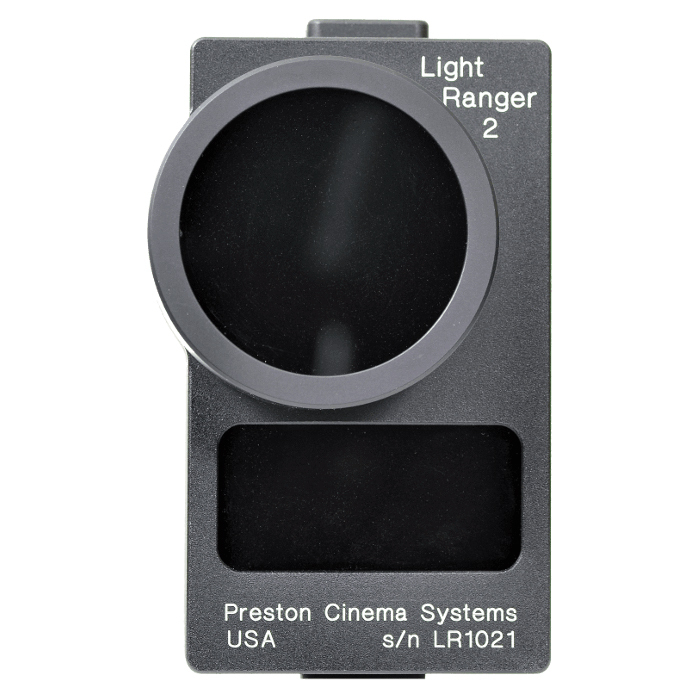 It’s very likely that the RF mount will show up on future pro digital cinema cameras. 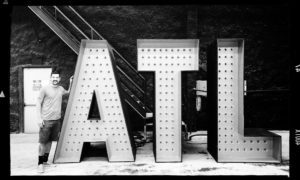 • Shout out to our pals at PC&E Atlanta for a tour of their rental facility and their awesome party. Interested in learning more? Reach out to us at answers@rule.com. And follow us on Twitter, Facebook, and Instagram. New in Rentals, the compact Sigma Cine primes with full frame coverage and high speed aperture ~ T1.5 (20, 24, 35, 50, 85mm) and T2.0 (14, 135mm) have arrived. 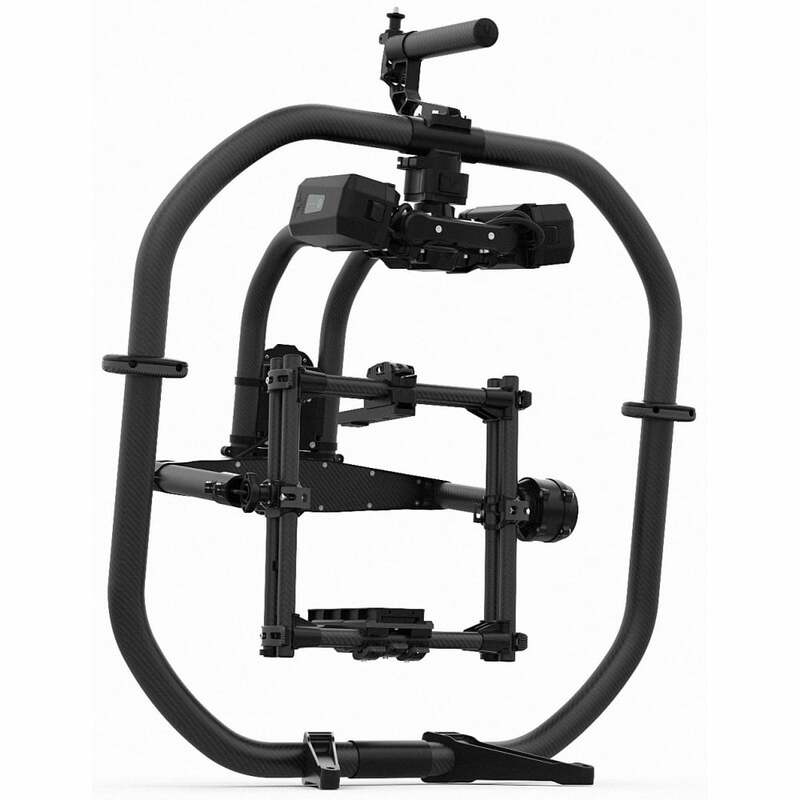 Excellent resolution and ready for 8K, the well-crafted cine design offers smooth focus with minimal distortion or breathing. The nine blade iris makes for a soft round bokeh. Now available in EF mount. Contact Rentals for details: email or phone at 800-rule-com. Quasar: one of over a thousand known extragalactic objects, starlike in appearance and having spectra with characteristically large redshifts, that are thought to be the most distant and most luminous objects in the universe. 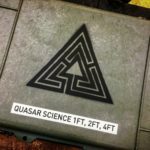 Unfortunately, we don’t have “the most luminous objects in the universe” in our inventory but we do have a fleet of Quasar Science products available to rent and buy. 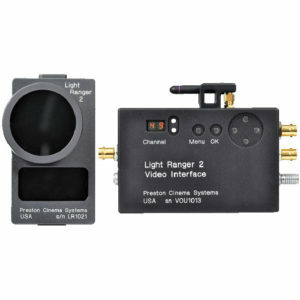 Quasar offers a wide variety of LED lighting tools and many of them can be found right here at Rule Boston Camera. Low profile, self ballasted, dimmer compatible, energy efficient, 95+ CRI, flicker free, 25,000 hour lifetime, and much more are just a few of the many features in the Quasar line-up of products. We encourage you to stop by the shop, and check out these lights for yourself. We’ve got a bunch of new fixtures on the horizon for both rentals and sales in addition to what’s already in our rental inventory (Crossfade LED Kit, Kino Quasar 4ft/4 Bank Fixture) and in our Production Outfitters Expendables Store. Another resource is our IN THE SHOWROOM video on the A-LED and Q-LED Crossfade lighting tools. Click here to watch, and reach out with questions. 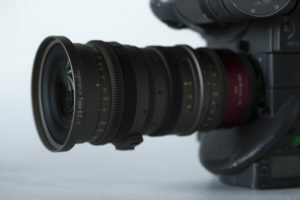 The Angenieux EZ-1 30-90mm T2 Super35 zoom lens is one of a handful of lenses in the quickly expanding category of affordable cine-zooms. For a long time, cinema zooms were always two things: heavy and expensive. 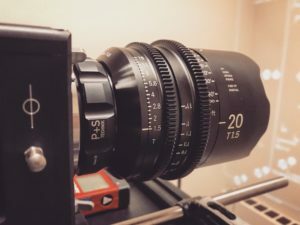 In the past year or so, we have seen manufacturers innovate and release a new group of lightweight cinema zooms. 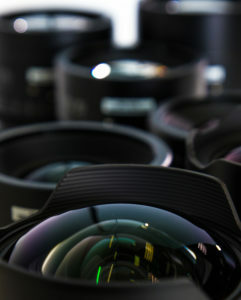 To name a few: Zeiss 21-100mm, Sigma 18-35mm / 50-100mm, Fujinon 18-55mm, and Canon 18-80mm. 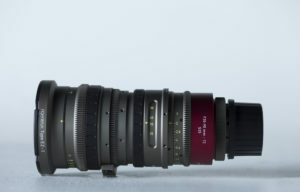 As a documentary and commercial shooter, it has been great to see this huge increase in choices at a reasonable price. I find myself taking the Angenieux on set because of its size, its flexibility, and its wide open performance. First and foremost, the size, weight, and handling of this lens is superb. It is well-balanced and weighs in at just 4lbs. I shoot a lot of handheld and gimbal work so weight is always a factor. Having built-in focus, iris, and zoom gears is a big advantage in both keeping the lens streamlined and removing any extra weight from add-on 3rd party focus gears. The EZ-1 also features rubberized grips along the lens for better control when not using a follow focus. 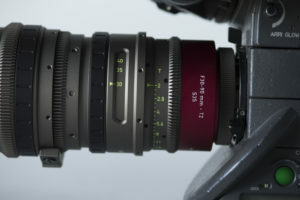 This lens is built with the operator in mind. In the documentary world, staying flexible on set is a must. The ability to quickly go from PL to EF to E mount on set with no tools is a big deal. 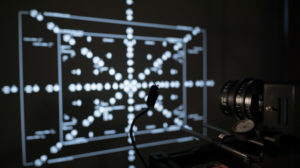 Pairing lenses and sensors is a big part of a cinematographer’s job these days — both from an aesthetics standpoint and a function standpoint. This lens is equally at home on a Sony a7S wedged inside a car as it is on a 35mm ARRI film camera on a dolly. In addition to the lens mount, you can also change the rear optical block to go from covering just Super35 to covering full frame/ VistaVision. There is a certain feeling imbued into lenses by each manufacturer. 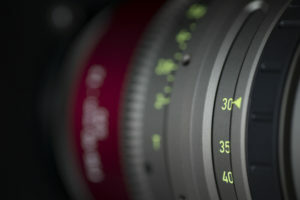 A subtle difference that doesn’t come across in technical specifications but is often talked about amongst cinematographers and is unique to that manufacturer. 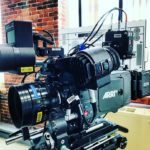 Angenieux’s reputation is one of the best in the industry. The EZ-1 fits in easily amongst its family members and delivers the same consistent colors and pleasing sharpness that one should expect from Angenieux. At long last ARRI weds the popular LMB-25 with the studio functionality of the MB-19 in the new LMB 4×5. No longer must we double up on studio and lightweight boxes on the same job as the 4×5 can fill both roles. The swing away and tilt module is my favorite new option!